Not Natasha Dalal, But Varun Dhawan Will Celebrate Valentines Day With Alia Bhatt! 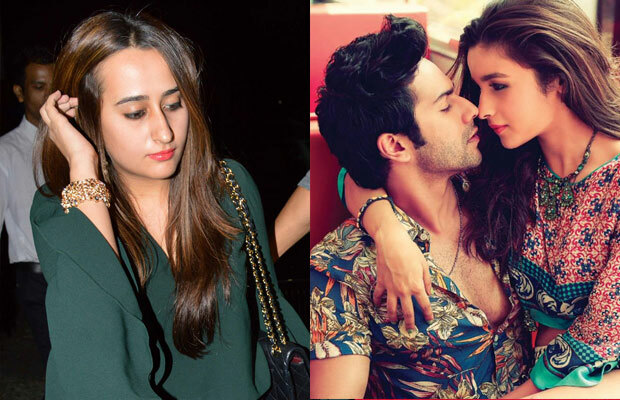 Varun Dhawan choses Alia Bhatt over Natasha Dalal For Valentine’s Day! Varun Dhawan is one of the most attractive young actors in the Indian Film Industry. He has a great fan following among the young people in the country. Ofcourse its the girls we are talking about. Valentines Day is round the corner and the rumours have already begun about the actor spending the day with this best friend forever. Dating Natasha Dalal for a long time now, Varun Dhawan has not spent Valentines with the love of his life two times in a row. Last year, he was shooting for Dishoom and this year he will be promoting Badrinath Ki Dulhania with his BFF Alia Bhatt. Varun Dhawan revealed, “I will be promoting Badrinath Ki Dulhania this time with Alia. So yeah, that’s the plan.” The two have been pretty close since Student Of The Year. Their friendship has always been seen the other way round. The two have always accepted publicly that they are JUST FRIENDS! Meanwhile, Alia Bhatt has been seen spending Valentines with Sidharth Malhotra last year while she was shooting for Dear Zindagi in Goa. Varun and Alia’s Badrinath Ki Dulhania is all set to release on March 10. Further, Varun will shoot for Judwaa 2, while Alia still has to finalise her upcoming project.